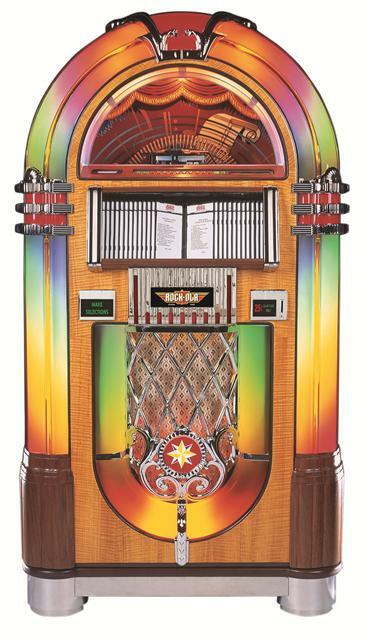 Ready to Buy Your Rock-Ola Jukebox? 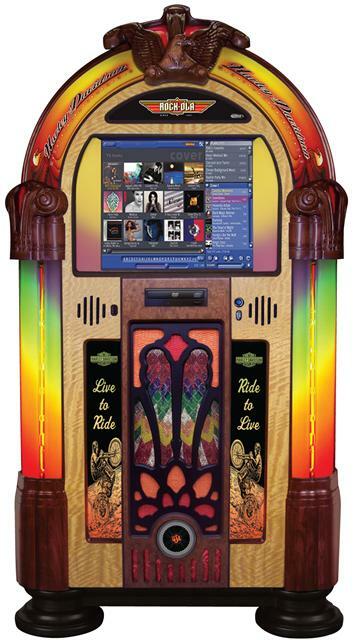 Rock-Ola is a name we call can remember and now with todayds technology there even mor ereson to bring a Rock-Ola Jukebox into your home. 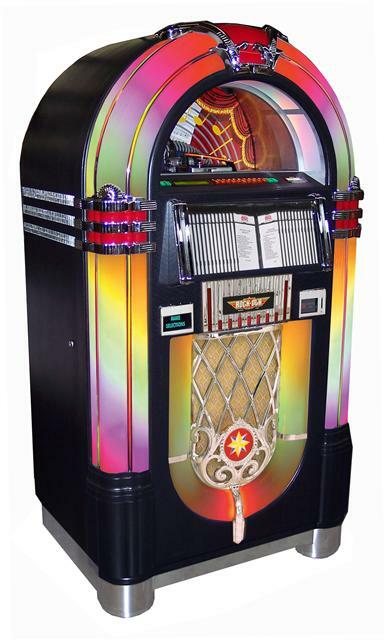 The cutting edge Series IV brings a full feature set to the consumer market of CD jukeboxes. Touch Screen Technology. Known as SATA Rock-Ola's Qsonix drag and drop system is easy to use and inate to use. Provide software fits across a wide 19" touchscreen. Allowing anyone to select thier favorite songs. 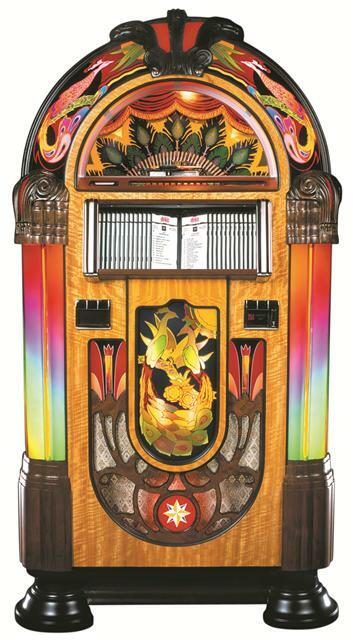 The Series IV also employs a newley refreshed fron cabinet displaying a full range of exquiste colors and testures. 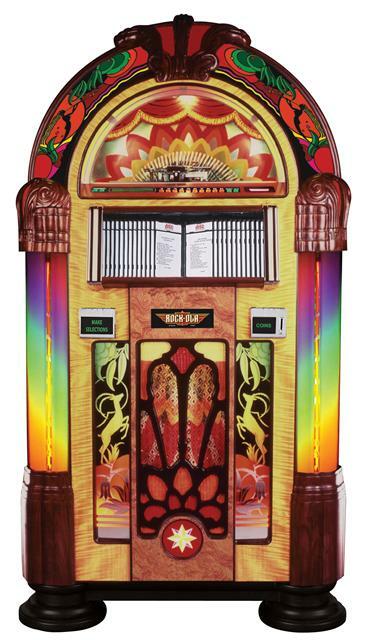 TERABYTE HARDRDIVE amazing how far we have come over the years but now you can collect over 13,000 full CD's and add them to your favorite version of your Series IV Jukebox. Peavey State of the Art 1600 Watt Amplifiers Rock the House! 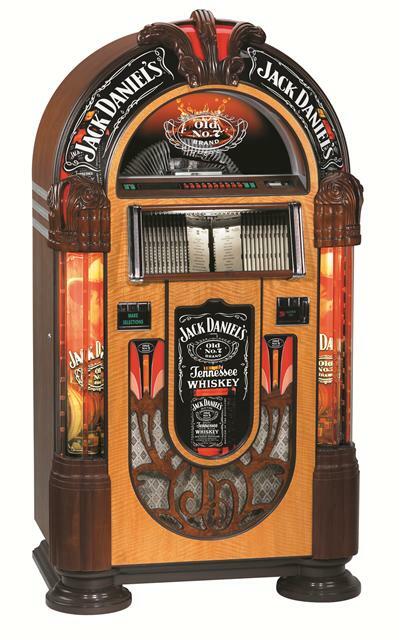 Only the Best will do for your Rock-Ola sound sytem. State of the art means just that. Todays miracles of technology have eliminated most of the heat gains associated with older amplifiers. Heat is killer to electronic parts and this all means a quality product designed and engineered to last for years to come.